< p style=”text-align:center;”>It’s Nonfiction Monday! < p style=”text-align: center;”>Copyright © 2014 Deborah Amadei/a> All Rights Reserved. You don’t go to Yosemite without hearing about John Muir. You can’t grow up in the western US without hearing tales of this intrepid explorer and conservationist. And with 2016 being a celebratory year for National Parks, this is a fine time to explore some books about this early explorer. But that is not close enough. 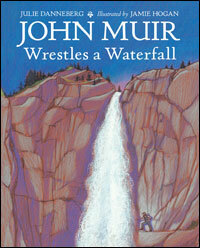 No, Muir decides he must climb up a ledge and behind the falls. And now it is a foaming, thundering waterfall on one side, hard granite on the other: a John Muir sandwich that nearly ends in disaster. But it doesn’t, and Muir writes about his adventure. I love that there is back matter: a couple pages about John Muir and Yosemite, some resources and books for curious naturalists, and a few citations for those who want to know where the author pulled her Muir quotes. 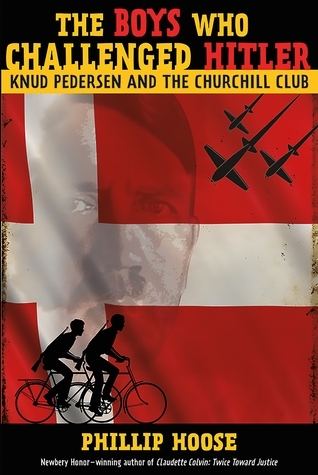 The Boys Who Challenged Hitler: Knud Pedersen and the Churchill Club. Hoose, Phillip. The Boys Who Challenged Hitler: Knud Pedersen and the Churchill Club. In this wonderful piece of narrative nonfiction, Hoose brings us the experience of Knud Pedersen in his own words. As a Dane, the teenaged Pedersen was perturbed that his government had caved so easily to the Nazis demands, agreeing to cooperate with the Nazi soldiers in exchange for relative safety. While Norway was fighting the Nazis, it took a while before opposition to the Nazis took hold in Denmark, and that opposition was started by a group of teenagers headed by Pedersen. At first, the boys contented themselves with painting graffiti and doing small amounts of damage to Nazi property, but soon escalated to major acts of arson as well as stealing weapons and accumulating quite an arsenal. When the Danish people saw that not everyone was acquiescing to Nazi demands, the Resistance was able to take off. The Churchill Club, as the group called itself, continued to bedevil the Nazis, although the boys found it difficult to think about actually killing the soldiers. Eventually, the group was found out and arrested, and spent a lot of time in various jails. By this point, however, the Resistance was going full force. Luckily for the boys, they were tried by Danish officials and, in part because of their age, were not sentenced to death. Based on intensive interviews with Knudsen, as well as Knudsen’s amazing archive of photographs and research, this well-researched book tells a riveting tale of people who stood up for what they believed, even though they were very young. I have always been interested in the various resistance groups, especially since most of them utilized my primary source of transportation– the bicycle! 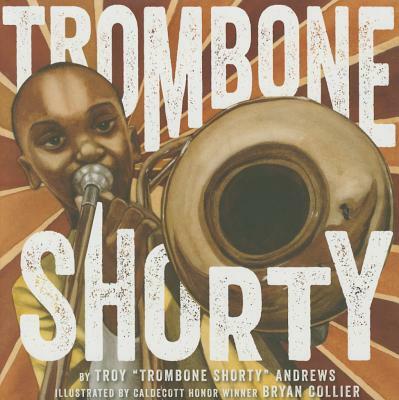 Since we have been requiring students to read more nonfiction, this is a title I will order eagerly. This was a great length, had amazing primary source information, and was extremely interesting. I am so glad that Hoose followed up on a forgotten e mail with Pedersen, because this was a fantastic book. See more middle grade reviews at Ms. Yingling Reads. 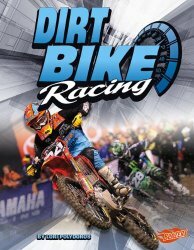 Booktalk: Dirt bike racers don’t let anything stand in their way as they blaze to the finish line. Tight turns, steep hills, or huge jumps these riders brave them all. Take a look at dirt bikes, how they work, and the races they compete in. Snippet: Dirt bikes are built to handle high jumps and sharp turns. Made to be lightweight, a dirt bike changes direction easily. Strong suspensions help riders tackle bumps and jumps. Knobby tires help grip loose dirt. We are headed to the seashore this week at Wrapped in Foil blog. 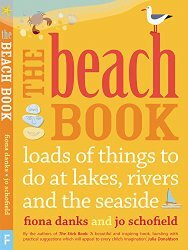 For our Nonfiction Monday review we have The Beach Book: loads of things to do at lakes, rivers and the seaside by Fiona Danks and Jo Schofield. The Beach Book is really in a class all by itself. It evokes a time before standardized tests and kids having every minute structured for them. It is bursting with suggestions for getting kids outside and playing at the beach, ranging from how to make sand mermaids to conducting beach treasure hunts to old favorites like skimming (skipping) stones on water. Each activity comes with a description, which is more of a list of suggestions of what to try rather than detailed how-to instructions. This leaves a great deal of room for spontaneity and creativity. Things aren’t too loose, however, because the authors list safety tips with many of the activities. These are common-sense precautions to take, such as knowing which way the tide is going (sometimes tides can come in rapidly and unexpectedly) or when adult supervision is recommended. The best part is that any of the activities can easily be adapted to non-beach or even indoor situations, and are perfect for multi-aged groups. If there’s a trip to the beach in your family’s future, I highly recommend grabbing a copy of this book. Read it ahead of time to get imaginations charged up. Have a copy handy in the beach bag to keep the adventures coming. Frankly, I can’t wait to visit a beach and try some of these activities myself! Looking for more beach activity suggestions and reading recommendations? 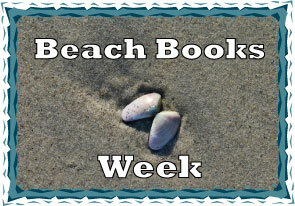 Get your bare feet sandy by visiting Beach Book Week at Wrapped in Foil. 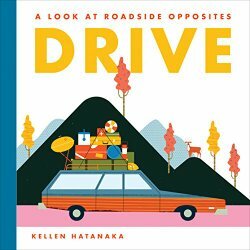 Booktalk: Take a road trip from START to FINISH in the family station wagon and see opposites on every page! So, step right up. Don’t be shy. Imagine what can happen with a friend by your side. “How do you become friends with someone?” That’s the first question addressed by the photo essay With a Friend by Your Side. You do so by knowing that there is someone out there for you. 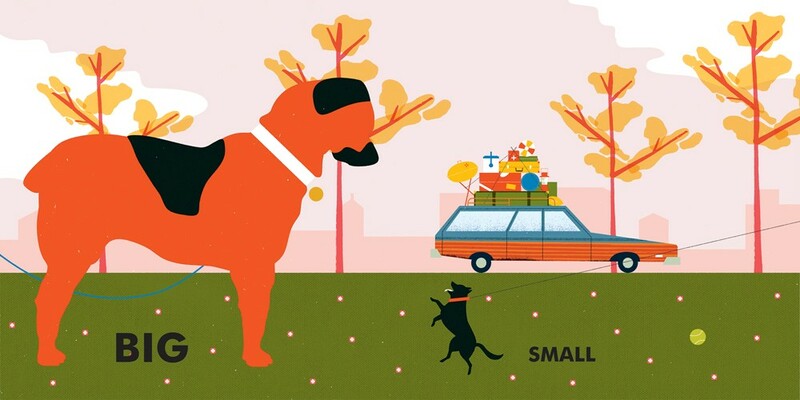 All it takes is a willingness to be a friend. The second question is “Why have a friend?” As humans, it’s nice to have someone to share a laugh with. Literally as I type this, I can hear my two daughters belly laughing in the back bedroom. They are friends for life. You also want someone to share with. It’s good to talk to someone you trust who won’t tell your thoughts. Friends also are great for support. Whether it’s a hug, a “You can do it!”, or a holding of the hand, friends can provide the support we need to keep going in this big ol’ world. With a Friend by Your Side would be an excellent way to start a lesson on friendship and/or kindness. It will set the tone for the values you want your students to consider. If you want to promote global awareness (Seriously, who doesn’t? ), then find a copy of this book. Sarsy, Russia doesn’t look so far away when you see three kids reading a book together. “Hey, I do that too!” you say to yourself. When you see two kids from the Congo putting their arms around each other’s shoulders, that seems quite familiar too. Finding out what we have in common makes this sphere a little less big. In the back matter, you will find a thumbnail print of each photograph and a map showing their location. There’s also a brief essay by the author and quotes about friendship. Combining simple but profound text by the terrific (look it up if you don’t believe me) Barbara Kerley with the usual spectacular photos by National Geographic will give you a winner every time and you cannot have enough good books about friendship in your classroom.